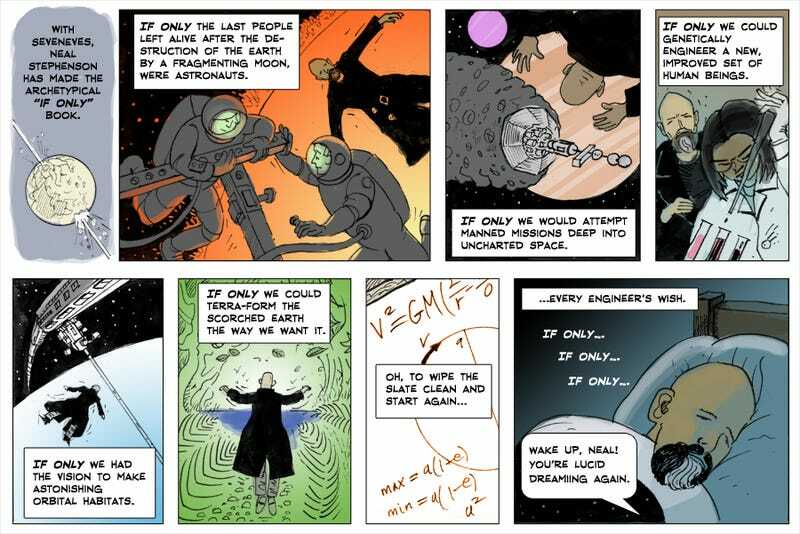 One web comic that I particularly like is John’s Comic Crits. He picks up an interesting mix of books, but instead of putting pen to paper for a book review, he turns his review into a short comic. His latest one about Neal Stephenson’s Seveneves, is an interesting one. He doesn’t always do reviews: several of his comics are interesting observations about reading in general, but he seems to enjoy science fiction. See his past comics on Isaac Asimov’s Foundation, Kim Stanley Robinson’s 2312, Paolo Bacigalupi’s Drowned Cities, Ernie Cline’s Ready Player One, and others over on his site.